If you’ve recently started matched betting and have a few offers under your belt, then you’ll be forgiven for feeling like it’s all a little bit out of control! I recall being overwhelmed working out which accounts I’d opened, remembering what bets I’d placed and tracking where my money had ended up. I couldn’t always remember. The prospect of making money quickly and easily was what attracted me to matched betting and signing up to Profit Accumulator in the first place. Spending ages trawling back through my betting accounts working out what I’d done wasn’t what I had in mind. So very quickly I realised there were some core pieces of information I needed to log and keep track of. It’s made my matched betting life a lot easier, and I hope this boring but essential blog post will do the same for you. Bank deposits and withdrawals – this is essential to help you trace your money as it goes in and out of different accounts. Bookmaker login details – by this, I mean your username and a password reminder. DO NOT write down your passwords. You will open up to 50 different accounts which can make it tricky to remember the different login details. I would encourage you to use the same or similar usernames and passwords. But this isn’t always possible, so I find it helpful to have a list to remind me. Running total – I keep a record of how much money I have made in total alongside details of my settled bets. Balances of my bookmaker and betting exchange accounts – I make a habit of updating this information about once a month when I also review my bank account transactions. This provides a way for me to check that the total amount actually in my accounts tallies with my records. Fixture list – I participate in a few different ongoing bets which require me to place qualifying bets through the football season. I keep a list of the relevant fixtures to remind me to place these bets. 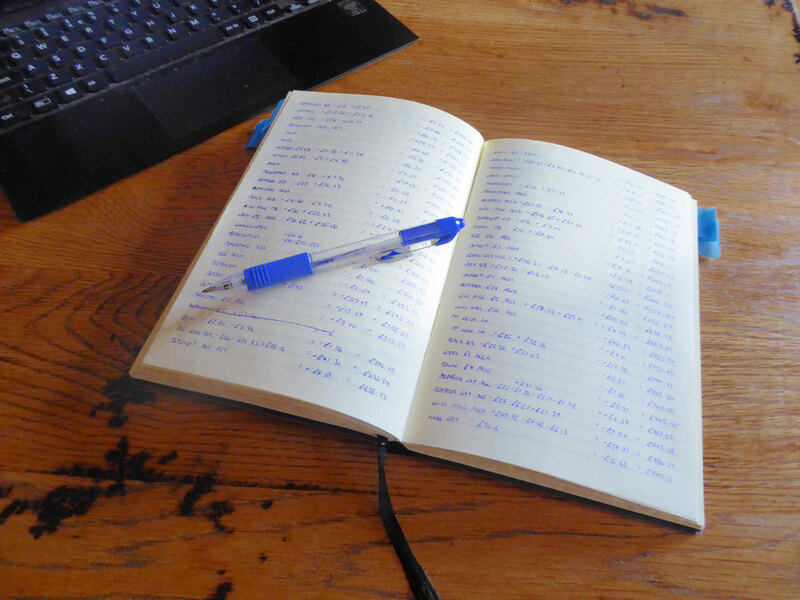 To do list – A to do list helps me keep on top of all the different bets I need to place and ensures I don’t miss out on all those free bets I’ve been given! How should i record my information? Most people use a spreadsheet to keep track of most of this information. Profit Accumulator has a Useful Spreadsheets section on their forum with lots of different examples for you to choose from. I’d recommend you check this out and see what suits you. A quick google search will also give you some options. As for me, I’m a bit of a rarity (oddity more like you may say!). I’m an old fashioned kind of girl and I keep a notebook with all this information in it. I personally find it a lot easier to write the information down as and when I need to, rather than opening up another page on my desktop and flitting between pages to transfer the information I need. I always have my notebook with me when I’m working through my bets. As you can see it’s divided into sections allowing me to keep track of different elements of my matched betting. That’s why I use a chunky notebook. I also love buying stationary so this allows me a little indulgence every now and then. But what works for me won’t necessarily work for you. I know many people will bemoan me for using such a simple system and will argue a spreadsheet saves them time. And this may well be true for them. If you’re only just starting out matched betting, make a note of the different bets your placing and what the outcome of those bets is. I’d then urge you to have a look at some of the different spreadsheets available and try them out. Once you find a way of keeping your matched betting records up to date in a way that works for you, I can assure you you’ll feel in control. I use Ultimatcher to track everything and it is really good and only takes a few minutes to update. Yes, I heard about this the day after I published this blog post. Thanks for the suggestion, I’m going to take a look at it. 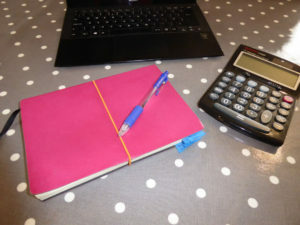 It is great to keep track and it is really motivational on those days that you can’t be bothered so much! Hello, would you mind sharing how you keep record in your notebook. I would love to try out recording this way pleas.